Okay, the original painting not shown here was a mushroom inspired batik painting by me and Adisron Junlawanno of Chewang, Koh Samui and was a centerfold in Vol.. VIII of my journal. 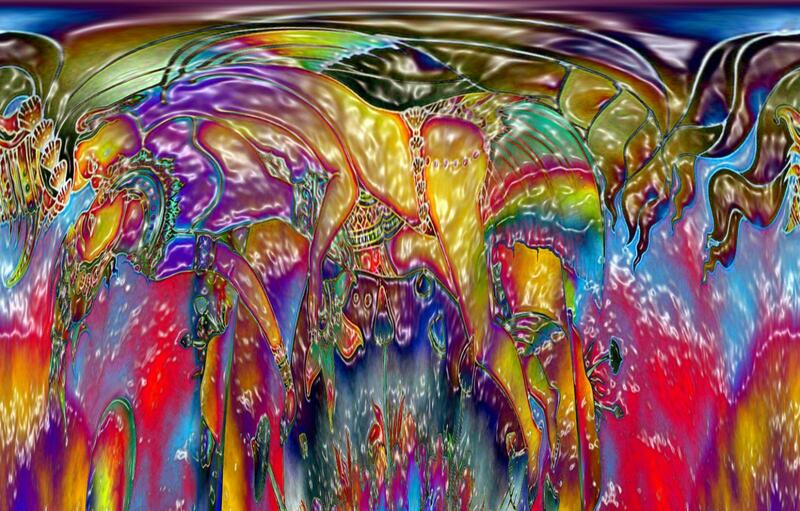 However, I melted the image in one of my software programs and I remembered decades ago on acid when i would play with food coloring in a sink and watch color bleeds bleed and blend in with the other colors in still water in a sink. Then i would pull the plug and watch the colors swirl and mix to make hew colors. Thus this melting image you can still see the young couple entwined and some of the mushrooms from the photo are still visible. 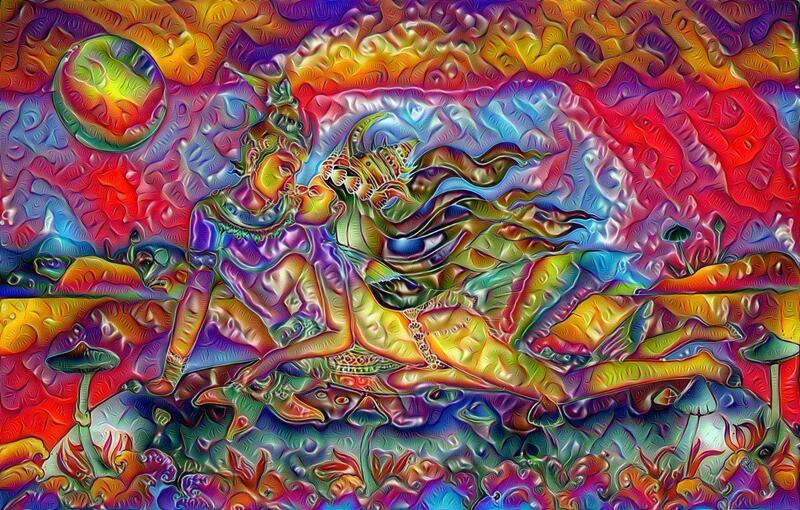 Kama Sutra Mind Meld, a magic mushroom inspired painting for a batik. WOW ! GREAT Artwork ! thanks for sharing mjshroomer !